I am hoping we have crew enough to finish tree cutting at Trout Brook Saturday. We have just a few trees, and with the fresh snow should take advantage of it. As an FYI, we are not planning on plowing the railroad out from this storm. There’s no immediate need, and we’re facing more than a week of temps in the 40s. Further/ this is thick, heavy snow, which would be murder on 52’s springs. I pass this on in the event I can’t make it until meeting time tomorrow- please don’t attempt to plow. If you’ve an outstanding need to, give me a call. 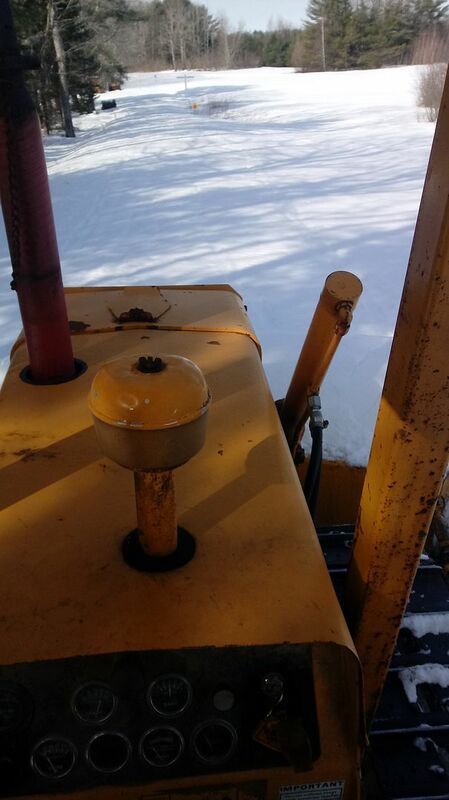 * Big Joe: The hydraulic pump was disconnected from hoses and frame, and Big Joe was rolled outside the pump was pushed off the frame into the snow. The frame was then moved forward so that the controls to the Airman could be accessed. Mike and Jay primarily worked on it, with assistance from various other people. Mike's goal was to get it started. It took 3 batteries, two battery chargers, and a jumper cable to the diesel engine to get the compressor going. Mike also had to clean out a fuel filter (nasty stuff in it) and who knows what else on it. * Machine shop: Alan was making chips, probably for something related to #10. 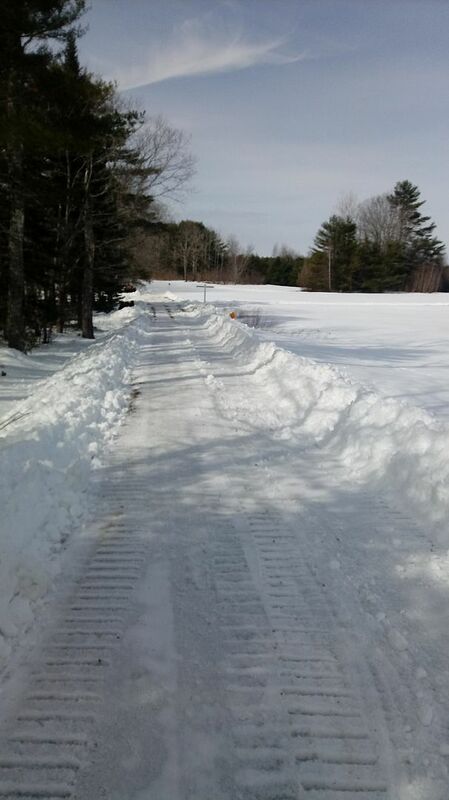 * House: Fred shoveled off most of the long ramp, and when he was nearly done I helped. One of the unused fridges was moved downstairs. Also Cindy, Mike and Brendan helped move some infrequently used supplies out of the upstairs kitchen closet to downstairs and to the master bathroom, then moved the water/soda from the hall closet to the kitchen closet. * Roster shots: Ed was wondering where two of the four wheeled cars were (1002 and 1004 if I recall), which I didn't really know. I unlocked the car barn and we found them there. * Board meeting: Pretty uneventful board meeting. Ed also GPS'd the locations at Trout Brook, woth my help pointing out the spots, and will check his maps from his info. * Storm cleanup - we got at least a foot, probably more. I am still planning on finishing cutting Saturday in the Trout Brook Preserve area, and burning the tree trash. I would also plan on burning the following 2 weekends providing we have snow cover. One of those days will be at Sheepscot, cleaning up the tree limbs around the container. 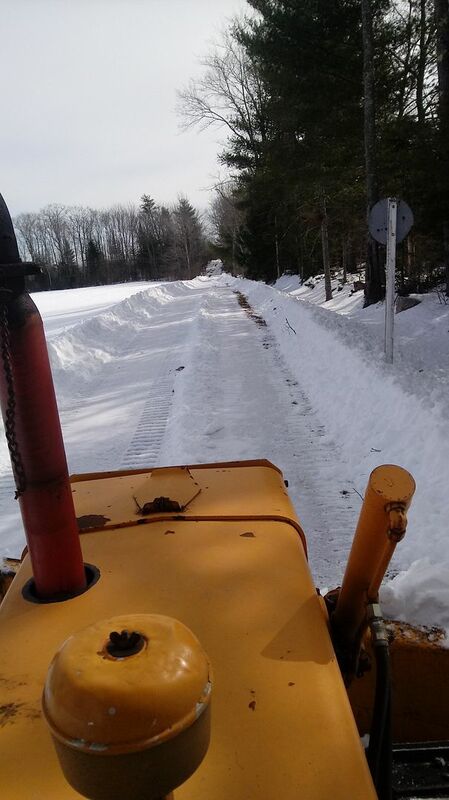 The railroad was plowed today- Steve L, Randy, Joe and Brendan (Steve L and I started alone yesterday). I’d have rather let it melt down, but I’m afraid it wouldn’t have done so prior to needing access to the Mountain. Also protecting the Easter event should the heavy storms keep coming. Any March 17th work report for Sheepscot shops? Sorry Dwight. James was away, so I will see what I can do. Saturday morning, 6 of us finished cutting at Trout Brook Preserve. We came back and found Alan working on the mud ring for #10. After lunch, Jay got to work on the compressor. Alan continued on the mud ring, Jason and Steve P. made plans for an upcoming event. We unloaded the pickup and put some parts inside the garage that were outside. * Easter Eggspress prep - Easter trains are the 31st. 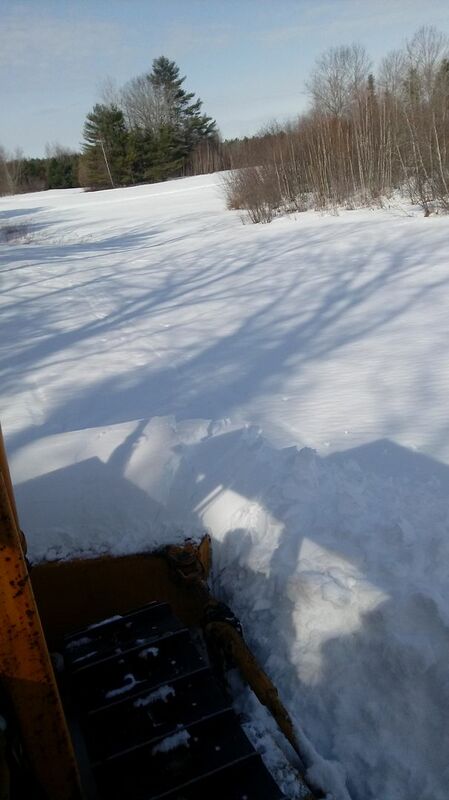 I am going to use the dozer Saturday to plow the Averill Rd to Alna Center, to be ready for next weekend. * Archives: I spent most of the day in the archives room doing more setup work for the new laptop. Meanwhile, Linda borrowed from the Wiscasset Library the original W&Q corporate books, which she is going to have copied. I think the earliest date was in the 1830s (or maybe the 1830s were mentioned as when the idea started). * Air compressor: Jay was working on it, also scavenging parts from the old hydraulic pump. Jay took the pump off of the tie inserter/back hoe and has brought it to the compressor car. * #10: Alan was in charge of drilling some holes in the mud ring. * Ties: Fred is hot to trot to start cutting up ties. So several stacks of them were moved by the forklift to in front of the garage, where the sun will get them and unfreeze them. Does that mean the trees are safe, for now?